Our firm has been taking the lead in Newport community real estate and development law for more than forty years. Brian G. Bardorf represented the first Newport condominium conversion project development on Bellevue Avenue. Today, Bardorf & Bardorf continues to be one of Newport’s most recognized names in real estate and development law. Our Real Estate Information Center provides information on subjects such as real estate contracts, development, zoning issues, types of Deeds, real estate inspections, and what you can expect at your real estate closing. You may also find answers to the most common real estate questions by visiting our Real Estate Frequently Asked Questions page. 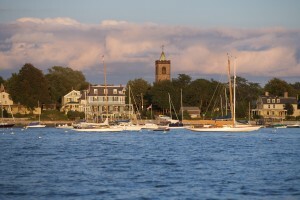 We are proud of our ties to historic Newport and surrounding communities. In more than forty years of practice, our we have represented several civic development projects and growing nonprofit organizations that serve the region. We understand historic tax credit law, and all other legal matters relating to planning, building and local zoning laws. We help developers, investors and businesses make sure that they get it right for Newport. Helping developers, entrepreneurs, and individuals grow and prosper in the Newport region. We take our commitment to the legal profession and to the Newport community seriously. We are experienced in matters pertaining to Rhode Island real estate law. We make providing professional, efficient, and effective legal services, our top priority.